You have enough cooking to do on Thanksgiving Day. 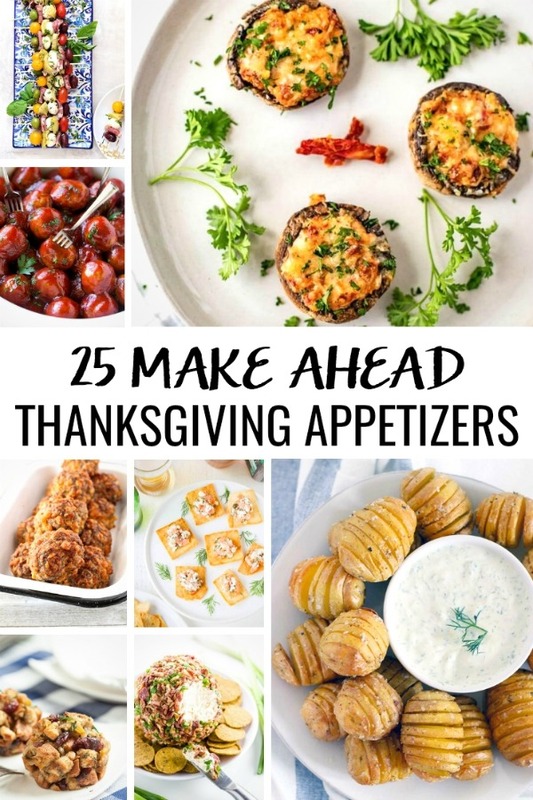 This year, start prepping early with these 25 Make Ahead Thanksgiving Appetizers! The stress of holiday cooking can be too much sometimes. After all, the whole point of holidays is to spend them with family and friends, not in the kitchen. With Thanksgiving on the horizon, I’ver been looking into some easy make-ahead Thanksgiving appetizers. Spreading Thanksgiving cooking over a few days will take off the pressure so when the big day comes you’ll have everything already prepped and ready to serve. Not having food-smelling hair on Thanksgiving dinner is also a bonus! Check out these easy make-ahead Thanksgiving appetizers. 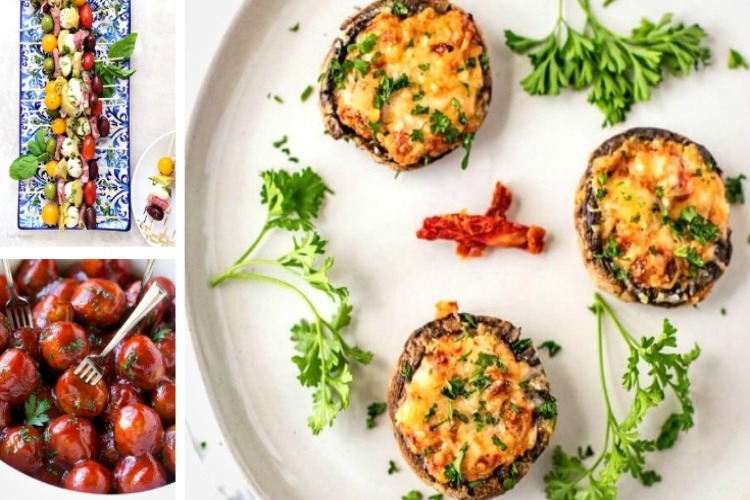 These recipes are quick, simple but also delicious and festive. What’s not to like? 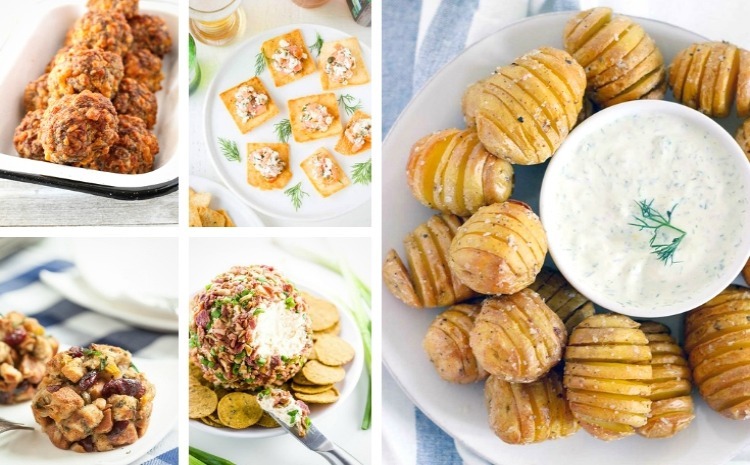 Which make ahead Thanksgiving appetizer idea are you most excited to try?! « 7 Foods That Trigger Heartburn & How to Get Rid of It!